* Total number of reviews and star-ratings are based on data collected during the time period FLOFORM - Kelowna has been using the ReviewBuzz system and may not directly match the data found on each public review site. So thankful with Floform and their staff. We originally went with Colonial cabinets, we paid our deposit they had our sink and we had a cut date. Because they decided to take on more than they can chew. We were put on a cut date of 6 weeks. Floform countertops took us on fast and efficient. They templated, cut and installed in less than 2 weeks. So blessed for FloForm for making this happen. The installer, Ross was awesome and did his best to work out a solution to accommodate the countertops. Our initial meeting with Amanda we were given incorrect information and the individual who did a follow up measure did so incorrectly. The counters were not delivered on time and after the second appointment to install they were ready. The installer had to come back several times and went above and beyond to try accommodate the incorrect measured counters and our new sink. We now see that there was a better solution that unfortunately was not offered but we trusted the designer, Amanda that she had the best solution. So consequently we aren't pleased with the end result and need to make more modifications to the counters such as putting on 1/4 round trim to hide the visible space between the cabinet and the countertops. Everyone with whom we dealt was friendly, efficient, professional, and willing to answer questions. Wish more companies/employees were like yours! We knew that, if this company was connected with Costco installations for years, it would be a wonderful company with which to deal. Floform did not disappoint! From our initial consultation, through paperwork/booking/scheduling, measurements, and installation, every team member with whom we dealt was friendly, knowledgeable, efficient, professional, and considerate. We would highly recommend this company! Already recommended you to a friend. Helpful, friendly and a great job. 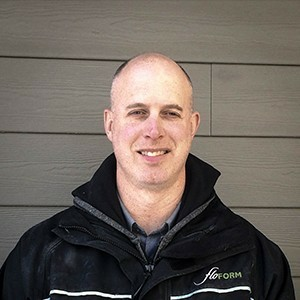 If I was going to do another kitchen renovation like we just did all over again, I would not waste my time going elsewhere to look for my kitchen countertops, I would go directly to Floform Kelowna. The reason for this is the prices are the best and the service is outstanding. We shopped around a bit when looking for our countertops, but everywhere we went it seemed like they did not have time for us, and in some places they only only wanted to service the big contractors, at Floform in Kelowna as soon as we walked into the store Amy Dainard made us feel welcome, she took care of us and she helped us choose exactly what we were looking for. During the installation process Adam Meier visited our house and measured the countertops, a couple of weeks later Josh and Ty installed the countertops and they are perfect - thanks again Floform Kelowna !!! Our experience with the entire Flo-Form Team was excellent. I would highly the product and every member of the Team for a very trouble free installation. Loved dealing with this company - so professional, courteous and we love the finished product. We would recommend FloForm to anyone wanting a whole new look to their home. thank you! Hard-working professional team! VERY happy with counter tops and excellent workmanship. Thanks to all! would be happy to recommend to others! From start to finish the experience was excellent and the finished product is beautiful. We were very pleased with the work completed by Josh & Ty to repolished our Corian countertop. They were on time to the appointment, skilled in working with the Corian product, and took their time to do a thorough job. Our experience with Amy in coordinating the estimate and work was also very positive. She was prompt in responding to emails. Overall a great experience. Very professional and on time. Great job!! I received outstanding service from all the employees of Floform Countertops and highly reccommend this company. All the countertops are first class! Thanks Amanda, Adam, Ty and Josh. Floform Countertops - Kelowna Team . 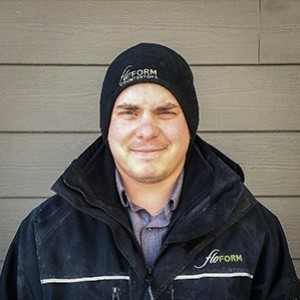 Customer service is always a top priority at FLOFORM - Kelowna. Our BBB Membership rating is like a badge of honor as we continuously strive to provide the best experience for our clients.